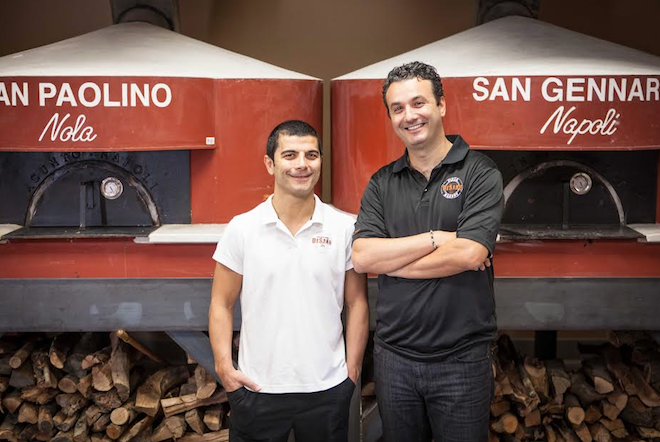 DeSano Pizza Bakery opened its doors in Nashville in 2012 to serve verace artiginale (truely artisanal) pizza made with products sourced from the Campania region of Southern Italy. A location in Charleston, S. C. followed. 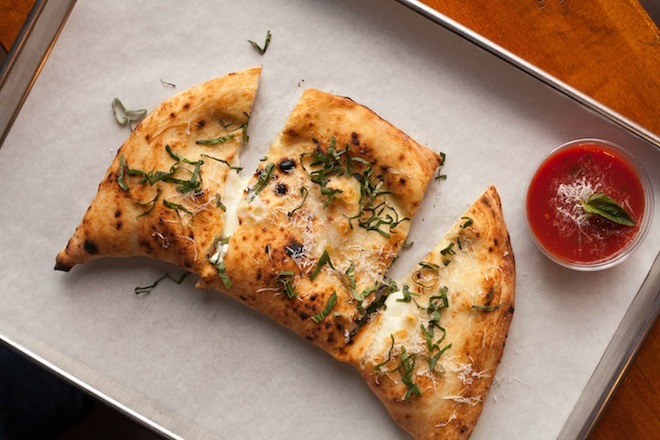 Next Monday, DeSano opens a massive pizzeria in East Hollywood, near the corner of Santa Monica and Alexandria. Marino Monferrato, who was previously general manager at Cecconi’s in West Hollywood, is behind this project. In addition to bespeckled pies fired by pizzaiolo Massimiliano Di Lascio, the massive warehouse-like space will also serve salads, sandwiches, and calzones. 7,000: Square feet of the new East Hollywood location. 900: Degrees Fahrenheit each pizza oven reaches. 50: Seconds it takes to fire each pizza. 11: Pizzas on the menu. 1: Pizza topped with lasagna. 2: Flat-screen TVs in the dining room. 0: Bottles of beer and wine on the list—until their ABC license is approved. 82: Bags of flour currently in the dough room. 7: Days a week DeSano East Hollywood will serve lunch and dinner. 02/10/14: Date DeSano L.A. opens its doors. DeSano Pizza Bakery, 4959 Santa Monica Blvd., East Hollywood, 323-913-7000 or desanopizza.it.